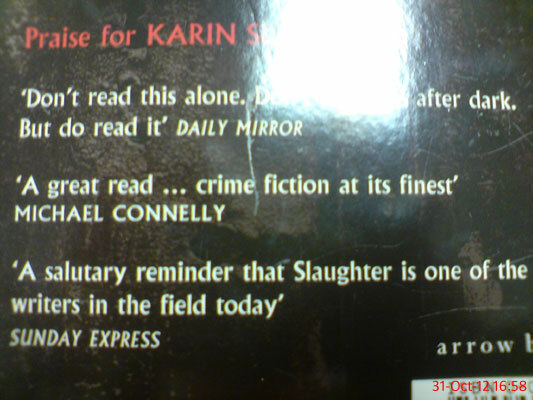 As it's a cold and rainy Halloween, the only thing on my mind is getting out of work so I can continue reading my book - Faithless by Karin Slaughter. Here's some praise for the author. The words missing from the bottom comment are "most riveting". That's certainly true as far as I'm concerned, because it didn't take much to convince myself to skip the gym so I could get back to the book sooner. 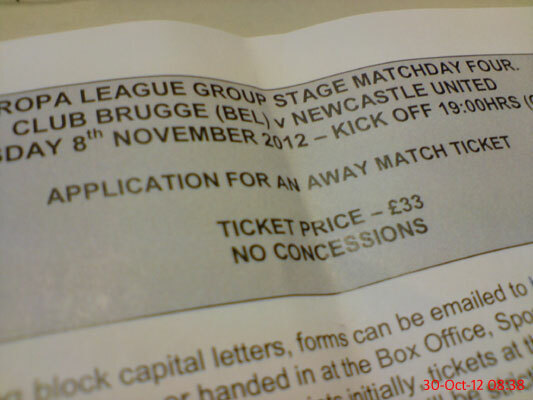 More tickets have been released for the Newcastle away trip to Club Brugge and those with 35+ loyalty points can apply. There's a very high demand so I'm not sure my 42 will be enough, but I've stuck an application in anyway. 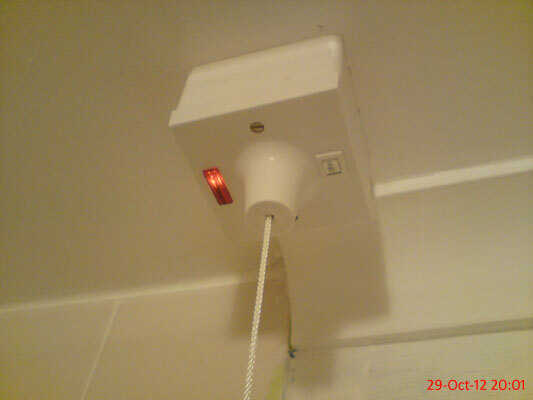 We recently had this switch replaced as the shower wasn't working properly. I'm easily confused though, so I don't like the fact that the light stays on all the time, even when it's switched off. I didn't even know hotdogs were sold at matches until half time today. 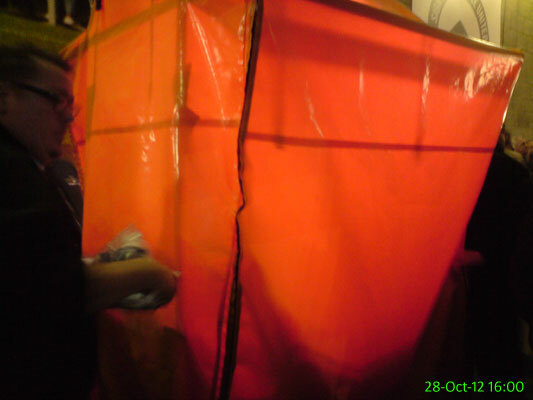 They ran out just before the second half kicked off and the stall was quickly covered in some sort of tent thing which vaguely resembled something you might see at a crime scene. 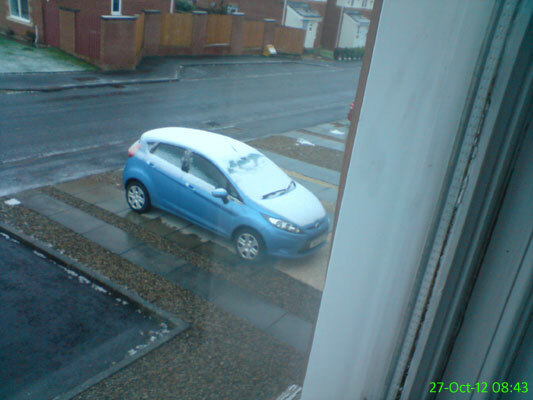 My first glance out of the window on a Saturday morning and thankfully the roads are clear, but there's still snow on my neighbour's car so I suspect it's still a bit cold to be heading out anywhere. 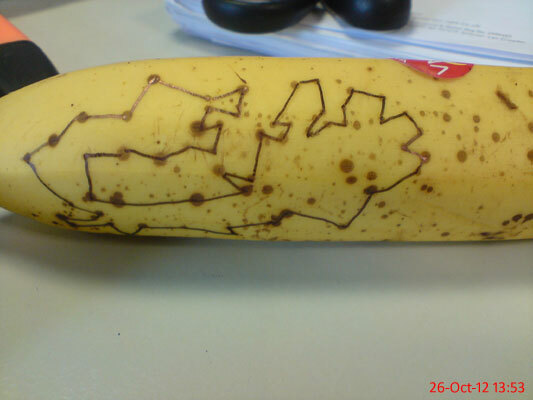 At 27 years of age I should probably not be so entertained by playing join the dots on a speckled banana.. but it wasn't a particularly exciting day at work. This wasn't actually meant to be a real shape or picture, by the way! 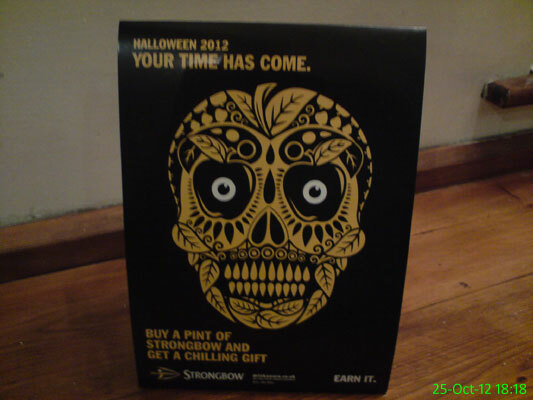 A spooky advert for my favourite drink. 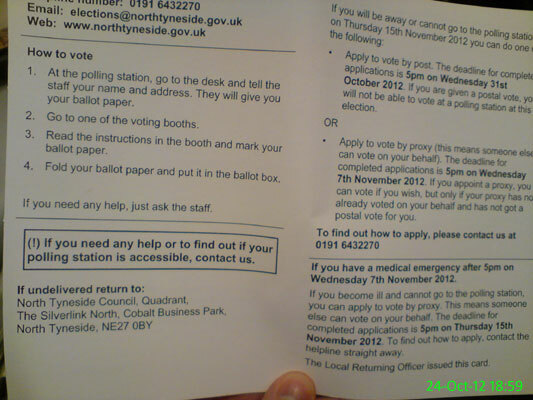 Apparently we're suppose to vote for a Police and Crime Commissioner. It sounds dangerously like something I have no interest in. 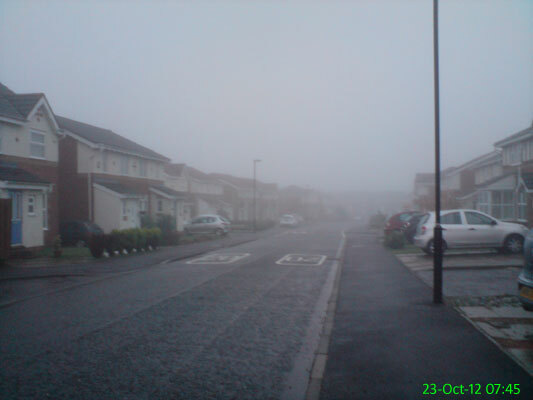 I knew what to expect on leaving the house, as Metro Radio had already informed me that Marky Mark would not be doing his travel updates from the air due to fog this morning. 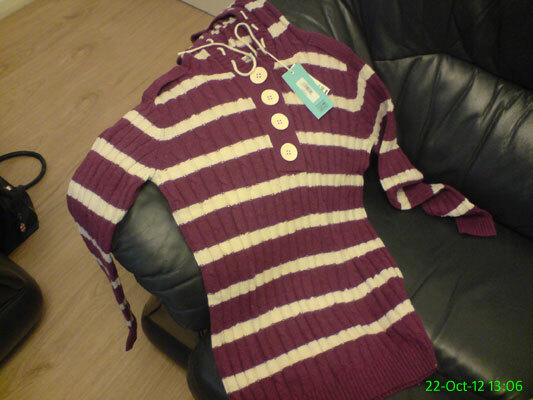 As it's probably going to get quite cold this winter, I expect this will come in handy. When Newcastle are playing away at Sunderland there's only one place to find yourself at half eleven in the morning.. the pub! 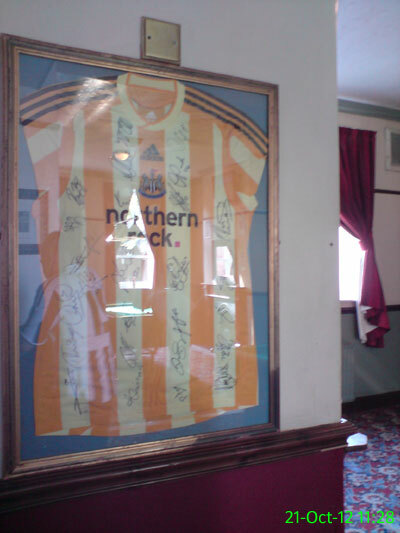 We watched the 1-1 draw in The Station and stood near this signed Newcastle shirt. 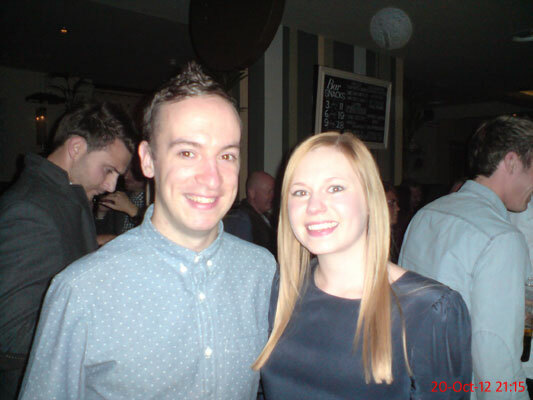 Matt and Abby in Browns on their joint birthday night out. It was a very sophisticated night... at this point. 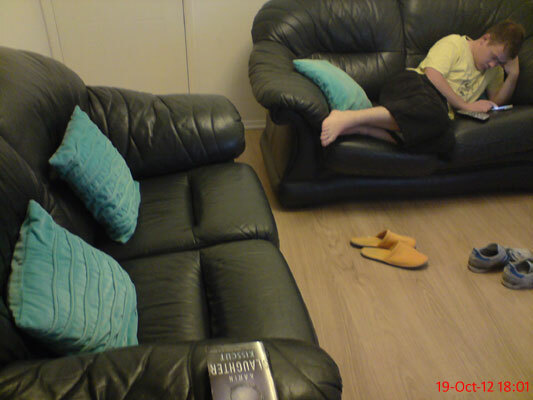 They're pretty large in comparison to our living room, but it's nice to have extra seating options. 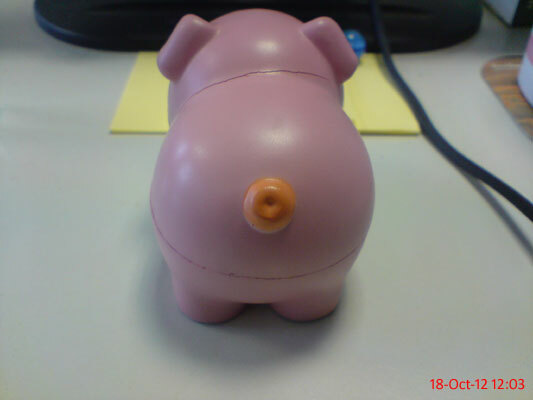 The rear end of my stress pig, who has a rather large rip in his neck due to one particularly stressful day several years ago. 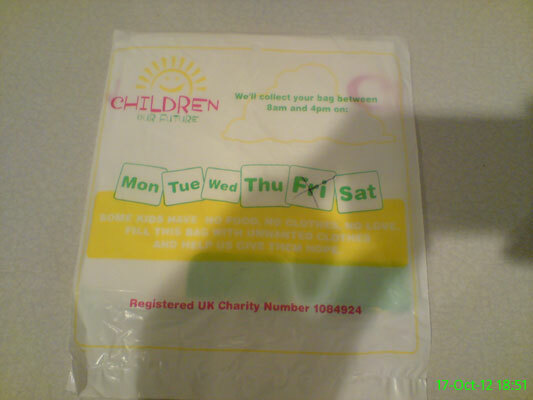 I think I've mentioned before how many charity bags we get through the door. Since I don't have anything to go in this one I took a photo to raise awareness. That counts, right? I was over the moon to come across this lately after not being able to find it for a while. Since neither our PS3 or PS2 are working and my laptop doesn't read discs it's become quite difficult to watch DVDs. 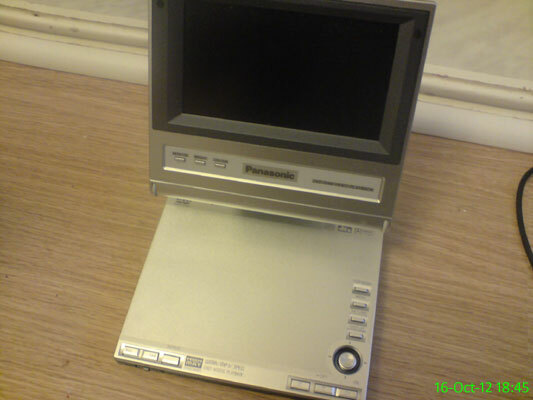 Unfortunately I'm yet to find the power cables or the leads to connect it to the TV.. but I'm sure they're kicking around somewhere. Mondays at this time of year are not particularly horrendous. 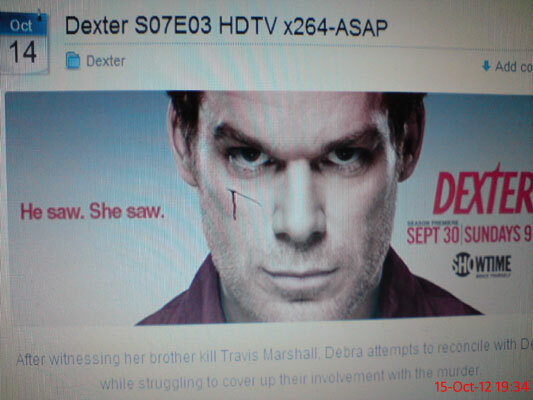 Season 7 of Dexter is currently airing in the USA on Sunday nights so when Monday rolls around I can "obtain" a copy. We're only up to the third episode of the series but it's been fantastic so far. 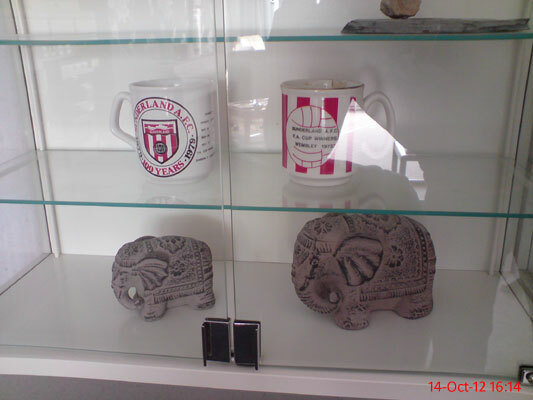 I like to think of these elephants as guardians who will prevent the spread of any Sunderland germs from the mugs above them! 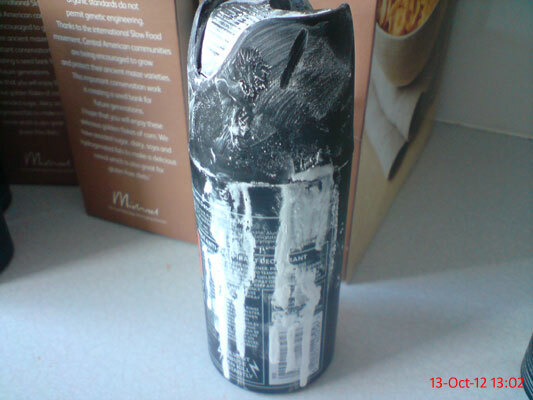 Michael's cheap deodorant is doings its best to resemble a can of spray paint. It's still a week until I get paid and already I'm counting out the pennies. I had a small tub of these at work so decided to scrape together some of them to buy a bottle of pop. 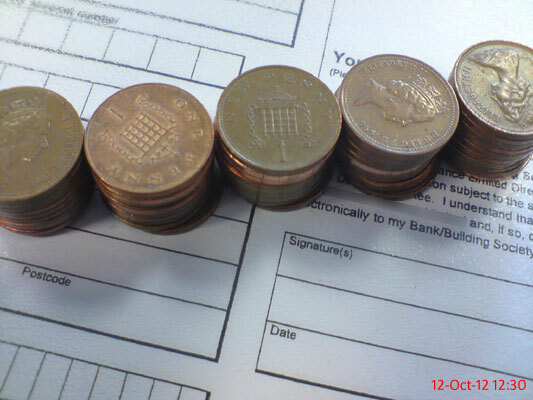 In a cruel twist of fate I ended up counting it out onto one of the direct debit mandates that I use at work. I did edit the photo slightly to remove a client name which had sneaked in! 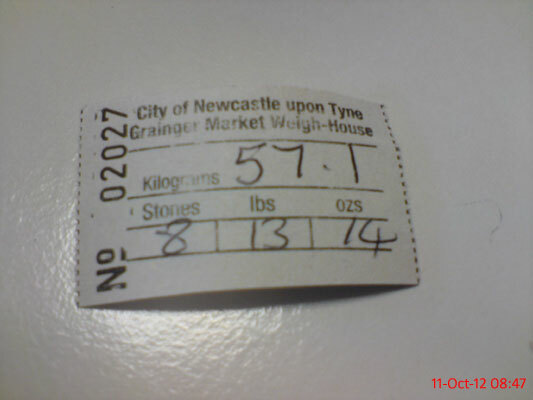 I've been going to the Weigh House just about every Thursday for over two years now and this is the first time the slip has included kilograms as well as stones. I don't like it, change scares me. 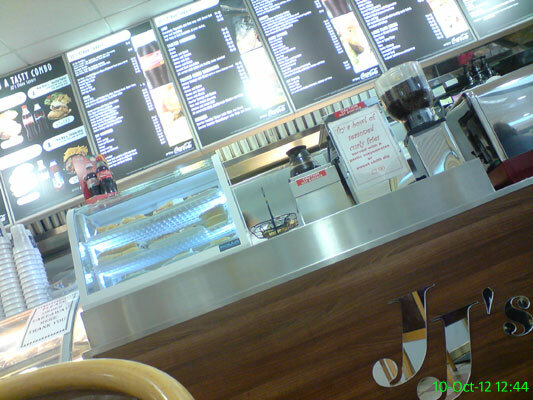 JJ's Cafe in Eldon Square where I went for lunch with my mam. It's always quite hectic, but they serve tasty food which isn't arty farty or overpriced, so it's perfect for a quick bite to eat. 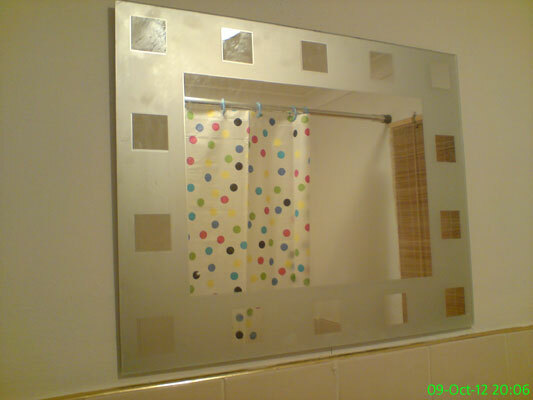 As part of the random burst of DIY at the weekend, we finally got the bathroom mirror hung on the wall. It's strange not having to sit on the toilet to do my hair. 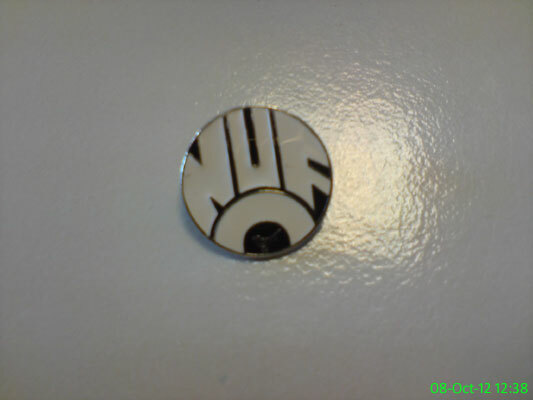 I bought this from a slightly pervy badge seller in Raffertys before the match yesterday. 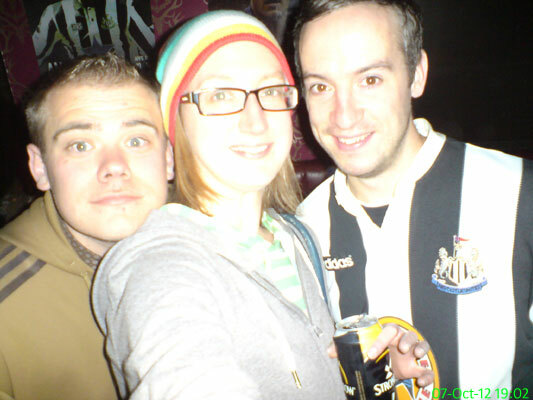 Michael, me and Matt trying out a different bar (Number 9) after watching Newcastle lose 3-0 to Manchester United. Any bar that sells tins of Strongbow is good enough for me. 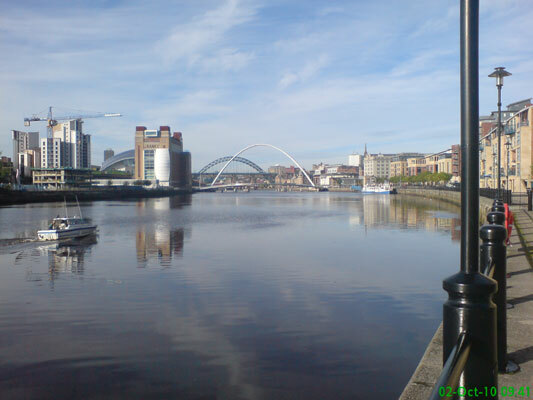 I am looking a little pale, but that's what Newcastle does to me. 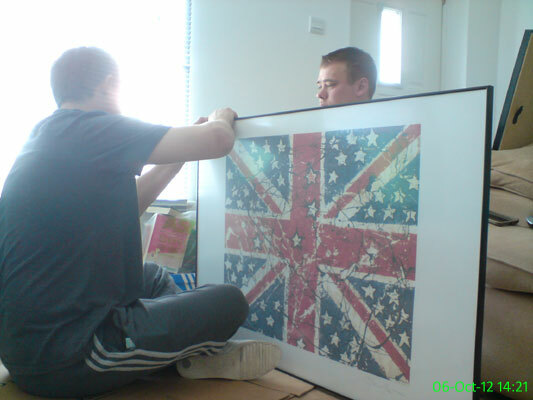 Chris and Michael set to work preparing this picture to go up on the wall. 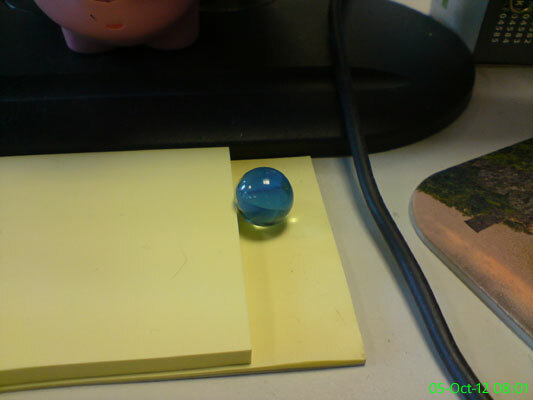 They got there in the end, although my blood did run cold for a moment when Chris uttered (while holding a tape measure and a drill) "I was only out by 100.."
I found this marble at work yesterday. I've already thought up a pretty long list of people who may have lost it. 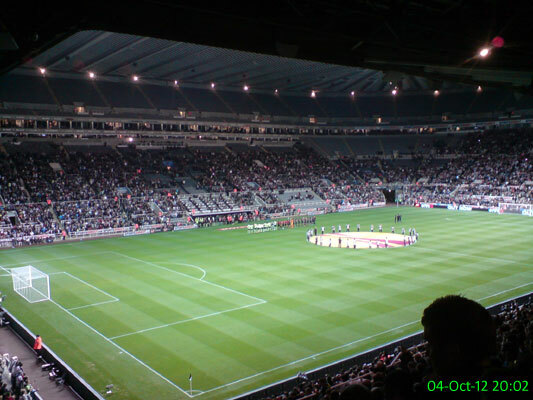 Newcastle stormed to the top of their Europa League group with a convincing home win. 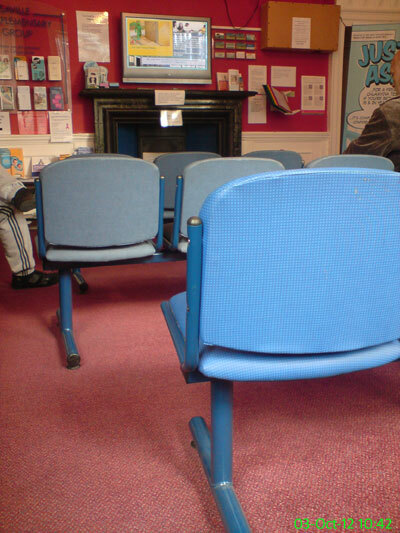 I had to pay a visit to the doctor today and I always sit in the same spot in the waiting room. It gives me the perfect view for people watching and also the LED display which tells each person which room to go to (just above the photo). This is my latest reading material. I've actually read it before but that was several years ago so I can't remember exactly what happens. 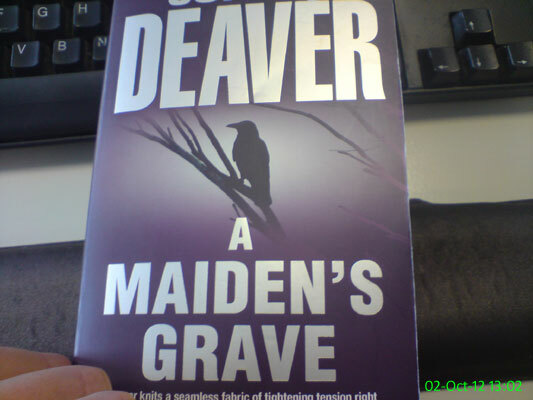 It's by Jeffery Deaver, who is a very good author. 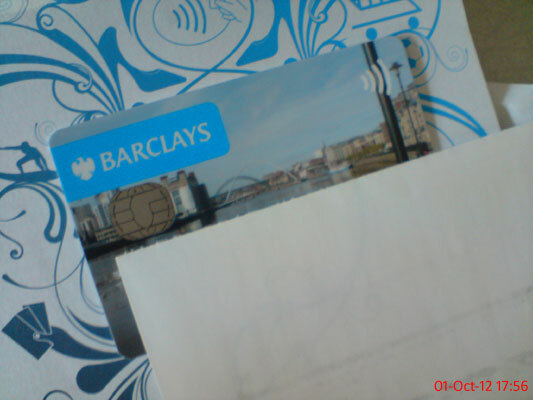 Barclays allow free personalisation of cards, subject to your choice of photo meeting various requirements. Mine arrived today and features a photo that you may remember from 2 October 2010. Yes, I pretty much had to go that far back to find a photo that was both interesting enough and didn't contain any sort of copyright or trademark.